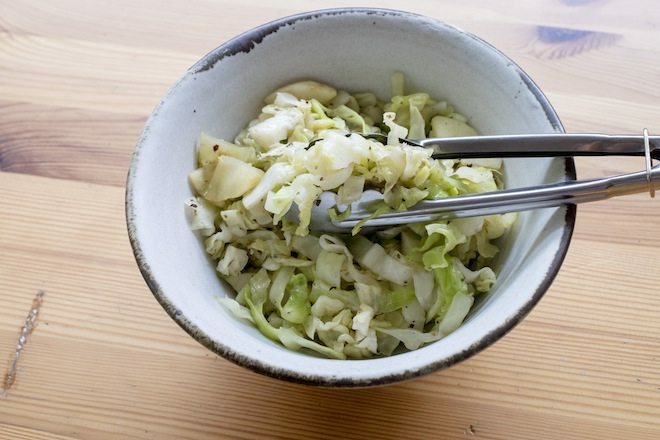 Braised apple and cabbage has been a regular feature in our home cooked meals of late. Cabbage seems to be everywhere in Thailand, it’s extremely cheap and is one of the more nutritious vegetables going round, so it’s a win win really. I generally serve braised apple and cabbage when I make potato fritters or as one of many side dishes when we are having rice bowls for dinner. 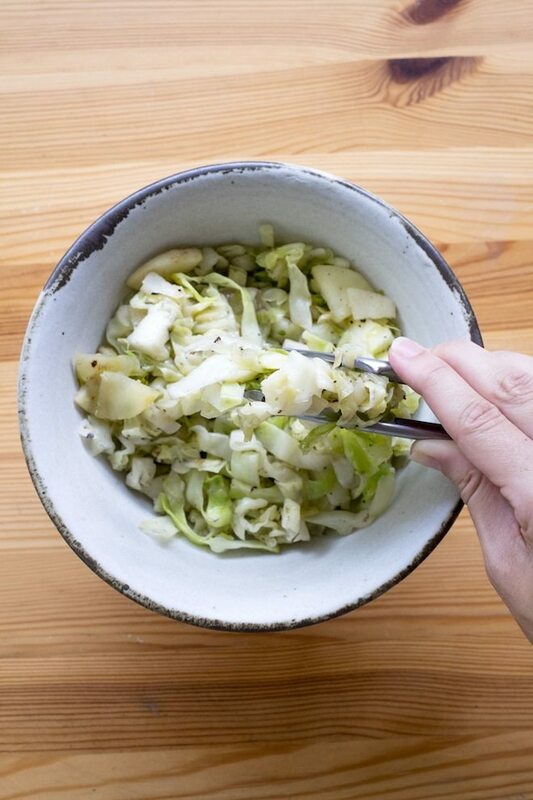 This particular recipe is quick and flavoursome, and I love the combination of the sweet, dense apple with the softness of the cabbage and the little kick of the caraway seeds – such an underrated spice! I threw the breadcrumbs in for good measure, as I’m always collecting them and hate to see them go to waste. Turn off the heat and serve! Notes: Braised apple and cabbage is a great side dish for crunchy or contrasting mains like thick vegetable based fritters, or rich meats like schnitzels, burger patties or pork steaks.